I’ve been told that when I get older, I will eventually change. Maybe that’s true. 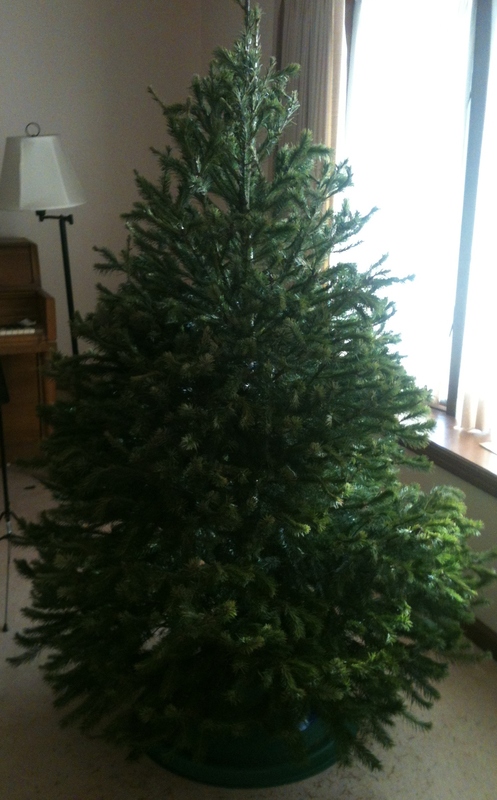 But for now, I simply will not accept an artificial tree as our family Christmas tree. I’m fine with smaller artificial trees in the house, but THE Christmas tree must be real. I can attribute my need for a real tree to my father, who was a forester and always ensured we had a real tree from a real forest when I was a child. But in all honesty, I love a real tree for two reasons. The first is our family tradition of going to the Christmas tree farm to search for the perfect tree, cut it down, carry it to be bailed and then wait for hours while my husband ensures that it is firmly secured on the Jeep. The second is the smell of a real tree in our house. There is absolutely nothing like it, and candles or other attempts to capture that smell are jut not the same. Every time I walk past my living room and catch the smell of this year’s Douglas Fir, I smile. But then, a real Christmas tree always makes me smile. Posted on December 9, 2013, in Family, My life, perspective and tagged 365 reasons to smile, Christmas, Christmas tree, Family, life, memories, musings, perspective, smiles, Thoughts. Bookmark the permalink. 5 Comments. When my children were younger.. after the New Year we would cut up our (real) tree.. pile it in the fireplace.. and and roast hot-dogs and marshmallows. It became a tradition. My dad was a forester, so when they finally got an artificial tree, I started to get worried. But they just claim it’s easier.